Do you want Democrats to protect the Affordable Care Act? With their very first vote when the new Congress opens tomorrow, House Democrats plan to pounce on one of Republicans' biggest political vulnerabilities, the lawsuit to wipe out the Affordable Care Act. The state of play: A congressional source tells me that a key provision tucked in House Dems' 14-page opening-day rules package, "Restoring Congress for the People," focuses on the federal judge in Texas who struck down the ACA (which remains in effect during appeals). The provision authorizes the House counsel to intervene in the lawsuit on behalf of the House of Representatives, to try to protect people with pre-existing conditions, a popular and consequential feature of the ACA. Next week, Democrats will hold an additional vote on a stand-alone resolution on intervening to defend protections for people with pre-existing conditions. Why it matters: House Dems view the health care issue as a key reason they won the majority in November's midterms. The vote shows that House Democrats will aggressively leverage advantages of the majority, even with the government shut down, and without needing the Senate to agree or President Trump to sign anything. Be smart: Axios' Caitlin Owens points out that while this is good politics, voting to intervene in the lawsuit probably won't have any practical effect. And Axios' David Nather says it's no accident that Democrats are putting the spotlight on pre-existing conditions rather than the whole health care law, which has had its ups and downs with the public. Protection for pre-existing conditions is part of the health care law that has always been popular. Republicans know it — and so does Trump. This is also key to protecting incoming Speaker Nancy Pelosi’s legacy: She had a bigger role in passing the law than many people realize, and insisted on pushing forward in 2010 when other Democrats wanted to scale back the plan. 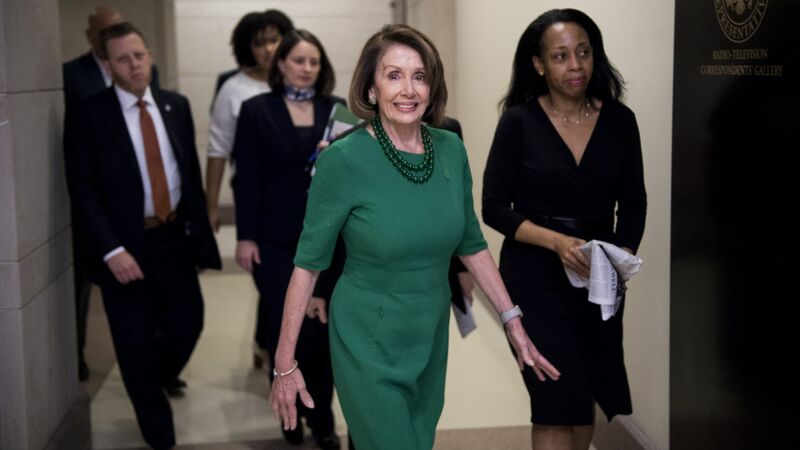 Henry Connelly, a Pelosi spokesman, said: "After two years of brutal attacks on health care and desperate GOP misrepresentations on the campaign trail, we’re not giving Republicans anywhere to hide." "Republicans who survived the election on their tardy promises to protect pre-existing conditions will have to explain why they have once again been complicit in trying to strike down those life-saving protections."